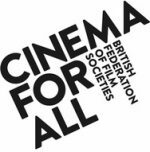 There has been an association between community cinema and Marsden for over a hundred years. In fact, going back to 1911 to the original Electric Theatre Cinema. We spoke to Marsden resident, Christine Martindale, whose family established the original Electric Theatre Cinema. Thanks to Christine for the details below and the photographs (from her family collection) that we feature. Thomas Leyland, born in 1871, was orphaned at the age of 17 and inherited his family’s marionette show. 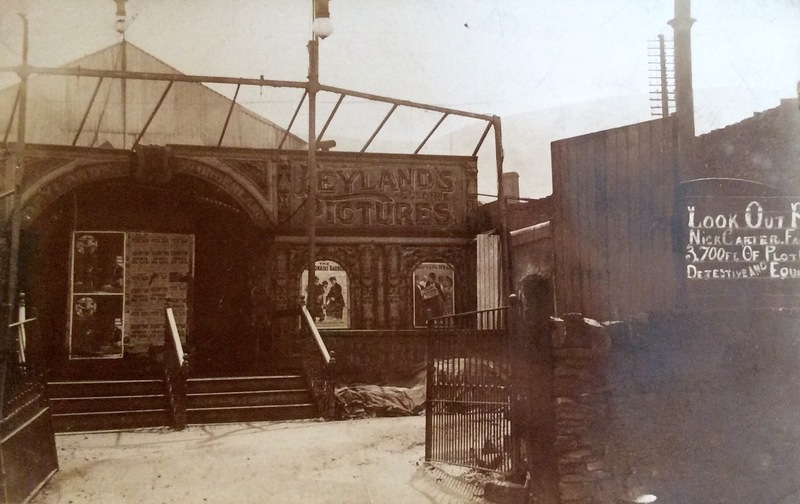 By 1897 moving pictures were included, and the show became “Layland’s Electric Bioscope and Theatre of Marionettes”, touring the Lancashire fairgrounds (note the different spellings of the surname). The two-wagon show included a trumpet barrel organ, and a booth measuring 30×50 ft. 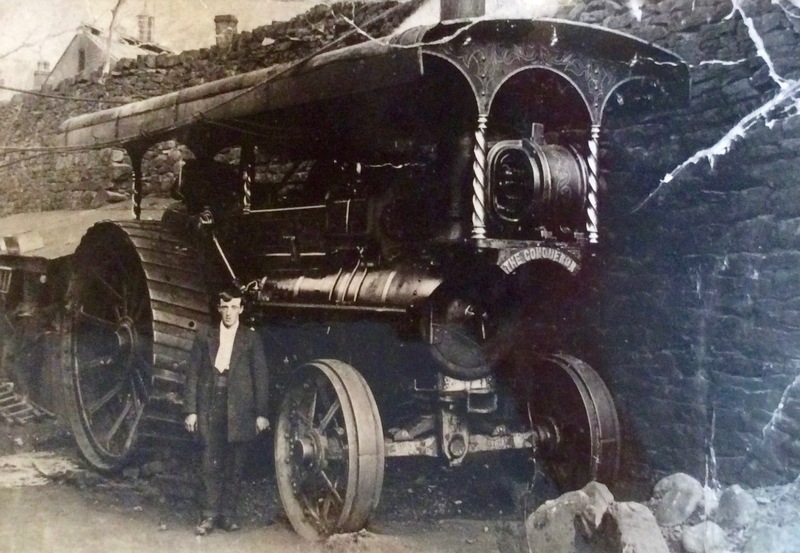 The Conquerer, a Foden steam engine, acquired by Thomas Leyland in 1907. 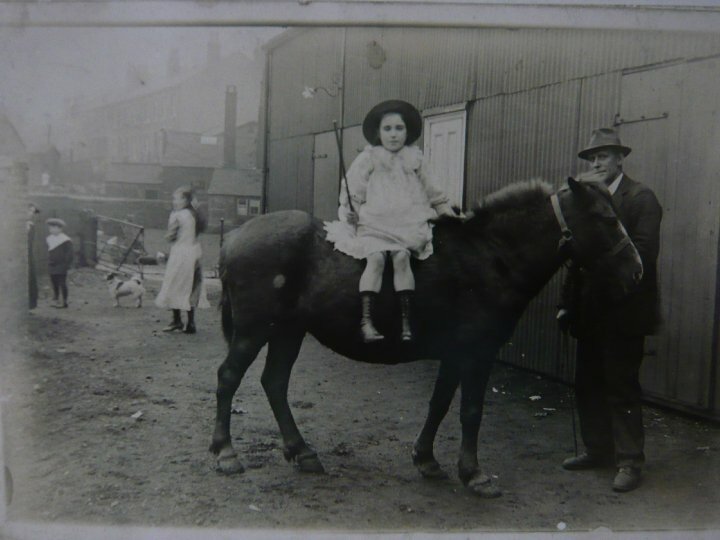 The Family settled in Marsden in 1911, showing within the wood and canvas booth while they built a more permanent, corrugated, structure around it, hence never missing a performance. Thomas Leyland and daughter, Ellen, with the corrugated cinema behind them. 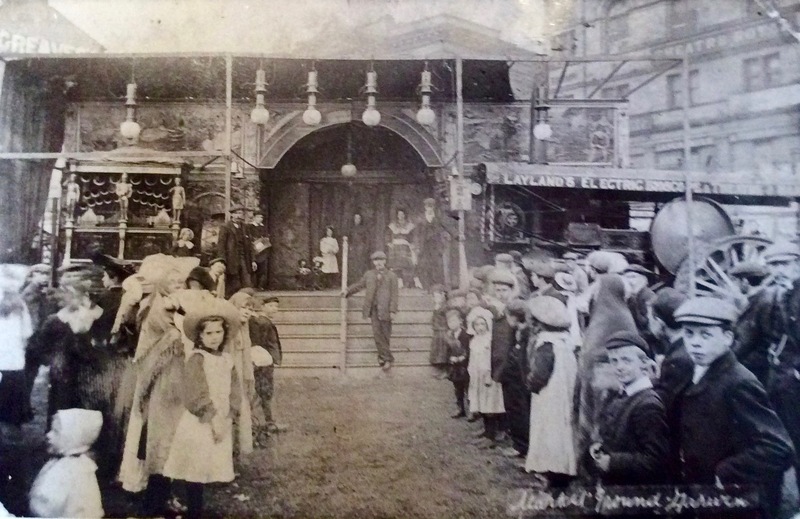 The earlier building began life as the Tin Circus, but it was The Electric Theatre which replaced the hut in 1919, in the same corner of Fall Lane and Weirside. The Electric Theatre seated 550; its front bore a large R.C.A. 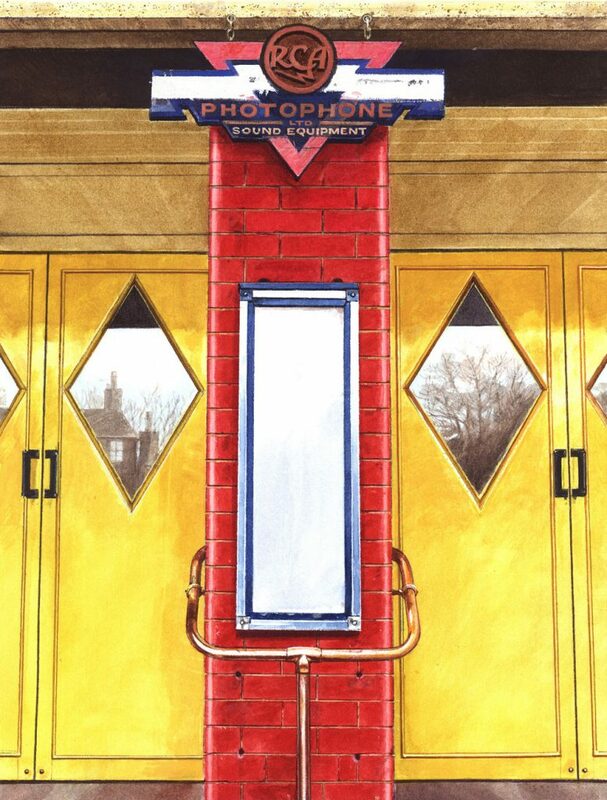 Photophone sign and the entrance was flanked with showcases containing photographs. Thomas Leyland died in 1949, and the cinema was taken over by his daughter Laura Beardsall, known widely as “Auntie Laura”. After her brother Sam’s death in 1957, Auntie Laura booked all films herself, acted as manager and cashier, with her twin nieces as salesgirl and projectionist. The cinema was run by an all-female staff, with village girls as cleaners, into the 1970s. At one point there was a campaign to start bingo sessions at the cinema, which Laura greatly objected to! In May 1975 The Electric Theatre closed, after a final screening of The Day of the Jackal. Eventually, heavy snow caused the roof to collapse and it was finally demolished in 1979. The illustration above is based on a black & white photograph (with colour notes) taken c.1976. It has been exhibited in a number of exhibitions. It is also featured in Terry’s book, Yesterday’s Yorkshire. Photographs and information supplied by Christine Martindale from the family’s personal collection. The Travelling Cinematograph Show (1999) by Kevin Scrivens and Stephen Smith.